Federal prosecutors announced Friday that Patrick Carlineo Jr. was arrested after placing a threatening call to Omar’s office in Washington D.C. last month. Authorities did not say when Carlineo was arrested. The bureau said that Carlineo sounded angry during the call but “spelt his name correctly and provided contact information” to a staffer. Carlineo’s defence attorney declined to comment on the charges Friday. 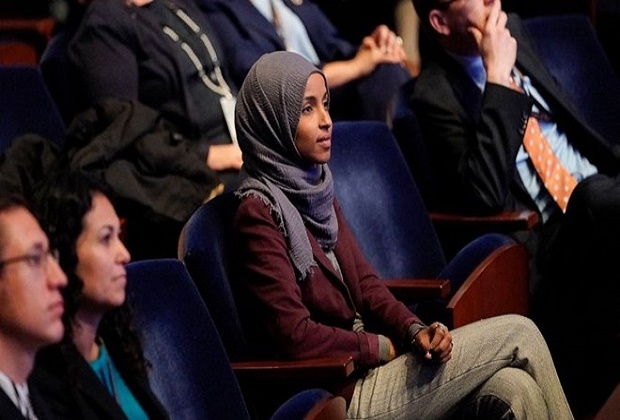 Omar was met with backlash for remarks she made earlier this year on Israel, including comments that American supporters of Israel are pushing people to have “allegiance to a foreign country.” Some people perceived Omar’s comments were anti-Semitic.